A transplant who has been traveling down here his whole life. Made the move three years ago and opened up Pogies. Summertime fishing for reds is what he loves. Swansboro Native, Long time Kayak angler, and somewhat of a legend around these parts. 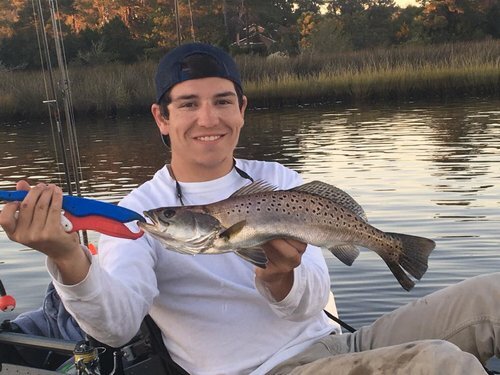 Fresh out of highschool, loves stealing our spots, but he is a great fisherman who is sure to keep you on the fish and catching. Send your catch to pogiesfishing@gmail.com to be featured in our gallery!